Red Globe is a large, succulent seeded red berry cultivar which form rather large bunches. The Red Globe cultivar has the largest round berries of all the red grapes. When they are ripe, they have a dark ruby red colour and are mildly sweet and flavourful. Grapevines require well-draining soil to keep the root system healthy. Without strong roots, the vine can't develop fruit. Exciting research led by MaryAnne DellaFera, PhD at the University of Georgia found that resveratrol (particularly when combined with soy isoflavones) works on the body in two ways to significantly assist with weight loss efforts: 1) it dramatically reduces cells’ ability to store fat by about 130 percent; and 2) causes fat cells to disintegrate at a rate 246 percent higher than normal. In research, resveratrol demonstrated the ability to improve the dilation of blood vessels, which may allow blood to flow more easily through blood vessels. It has also been shown to relax the walls of the blood vessels, making their diameter larger, thereby lowering blood pressure, and allowing a higher volume of blood to flow through all areas of the body, delivering increased oxygen and nutrients to the body’s cells. Another study found that just 10 mg of supplementary resveratrol resulted in a dramatic reduction in heart-attack risk factors. Studies at the University of Switzerland proved resveratrol’s brain-protecting ability. They found that resveratrol mopped up brain-damaging plaques and free radicals, which have been linked to Alzheimer’s disease. So powerful is this important nutrient that it has even been referred to as “Reverse-it-all” by many health practitioners. In a British study, students given resveratrol increased blood flow to their brains by 200 percent. Scientists believe resveratrol can help speed our mental responses. 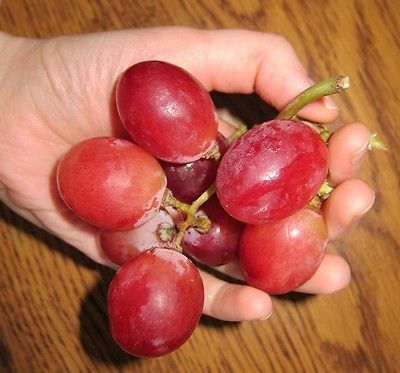 In numerous studies, resveratrol has had a positive effect on cancer. Research also shows that resveratrol protects the skin from damaging UVB rays of the sun, thereby protecting it against skin cancer. What’s more, this potent nutrient has even been shown to protect the body against radiation therapy when used as an adjunct to radiation treatment of cancer. In one study, scientists identified resveratrol as a nutrient that activated the human gene for survival and longevity. Prediabetics given resveratrol had a 10 percent drop in blood sugar levels, according to research by the Albert Einstein College of Medicine. Resveratrol works as an anti-inflammatory, which may be one of the reasons it may be effective for heart disease. As a potent antioxidant, it supports the cells and organs in eliminating uric acid and other toxins from the body, supporting muscle recovery for athletes.